After an arduous climb up a seemingly insurmountable mountain, the State of West Virginia is quite close to reaching a summit, one where our embattled Workers’ Compensation Old Fund is fully funded. After 11 years it will be a sight to behold. Consider that West Virginia began this journey with a $3 billion debt in 2006. At the end of Fiscal Year 2016, the number had dropped to $51 million. The most recent financial report shows that we have only $29 million debt remaining. Think about that: $3 billion to $29 million in 11 years. We are so close and I cannot help but feel proud of how we got here. It took vision from past leadership to head us in the right direction and it took commitment from everyone else who followed to keep us on the right path. In 11 years, there have been road blocks, certainly. Unexpected economic downturns. Budget gaps. Needs versus wants. But, it is a credit to both our legislative and executive branches that we have stayed the course. A multi-billion-dollar debt that was predicted to take 30 years to fully fund will end up taking us 11 to 12 years. Imagine paying off your 30-year mortgage that quickly. How great would that feel? I admire the planning. I applaud the commitment. Many people and many responsible actions went into turning this unfunded liability around. A lot of stars had to align for the plan to work: We had to privatize the program, which led to management practices that led to cost savings. We had to dedicate substantive revenues to the cause. We had to commit to making consistent enormous payments, even during challenging budget years. It was never easy, but since 2006 this is what we’ve contributed: $1.1 billion of severance tax; $881 million of Personal Income Tax; and $122 million of greyhound and thoroughbred purse money. Employers contributed $511 million in surcharges. And, there were other contributions, to the tune of $302 million, from varied sources such as tobacco settlement money. We also are seeing a steep and steady decline in Old Fund claims, which is also impressive. Sometimes the easiest thing to do in life is to focus on the negative, the flaws of a program or a body of government; the hurdles we face or the sheer impossibility of a situation. But in this case, I want to focus on us nearing the pinnacle of that once-insurmountable mountain, having put one foot steadily in front of the other for 11 years, bolstered by visionary leadership and steadfast commitment to responsibility. Well done, everyone. We’re almost there. 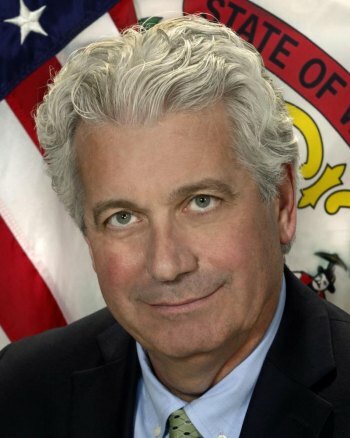 Dave Hardy is cabinet secretary of the West Virginia Department of Revenue. He is a lawyer, C.P.A., former Kanawha County Commissioner and Charleston City Councilman.